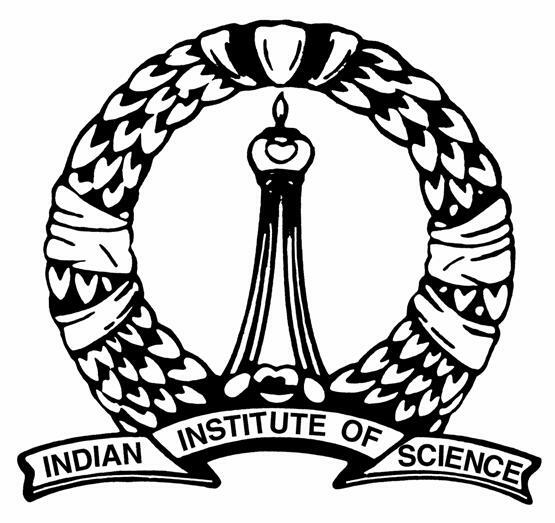 Indian Institute of Science offers two IISc PhD admission programs for the students of Life Sciences. The first program is the PhD (Integrated) program and the second is the PhD in the science faculties. Candidates possessing a minimum of first class in B Sc or equivalent degree in Physical, Mathematical, Chemical, Biological Sciences (including Bachelor’s degree in Pharmacy, Veterinary and Agricultural Sciences) are eligible to apply to an appropriate disciplines. BE / B Tech degree holders who qualify in Mathematics/Mathematical Statistics paper in JAM are eligible to apply only to Mathematical Sciences discipline. The short-listing of candidates for interview is based on the performance in JAM. Those candidates who qualify in JAM and interested to apply for the Ph D (Integrated) programme at the Institute must give IISc as one of the preference while applying online through JAM portal after the JAM results. Candidates possessing a minimum of second class in the following degrees are eligible to apply. Bachelor’s or Master’s degree in an appropriate field of Engineering/Technology/Architecture/ Medicine/ Agriculture/ Pharmacy/ Veterinary Sciences; or Master’s degree in Science in an appropriate field, or Master’s in Economics, Geography, Social Work, Psychology, Management, Commerce, Operations Research, Computer Science/ Application as applicable to the respective departments. Mandatory: Qualifying in one of the following appropriate National Entrance Test (NET) with validity as on 1st August 2017: CSIR-UGC NET for JRF; or UGC-NET for JRF; or DBT JRF; or ICMR JRF; or JEST 2017; or NBHM Screening Test 2017; or GATE 2017/2018 or INSPIRE Fellows (for Ph D). ME/ M Tech/ M Sc(Engg)/ M Des or MS or MBA (post BE/B Tech) qualified candidates who wish to apply for Ph D of the departments in Engineering Faculty – valid NET qualification is not mandatory but desirable. Application for all the programmes mentioned above are available online only, prospective candidates should apply online. Visit the website for e-brochure and online application. Sponsored candidates from Defence, DRDO, BARC, ISRO, NAL, KSRTC, BMTC, BDA, PWD and CPRI applying for the Sponsored course programme should compulsorily fill in the online application form and submit the printed version, in duplicate, on or before March 14, 2017. Mode of Payment for Application fee Mode of payment options available are : (1) Online Payment (includes Net-banking, Debit Card, Visa/Master Credit Card Payments). (2) Offline Payment – SBI/Canara Bank branches accepts Challan payment across the country.